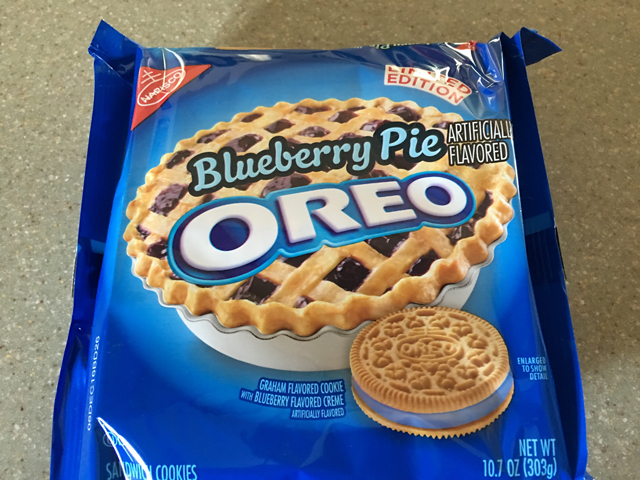 Ok, now this is a flavored Oreo that I not only liked a lot, but took extra measures to seek them out. You see, this particular flavor was only sold at Target stores, and as I found out in my efforts to find them, only certain Target locations. I went to 4 Target stores to find them. And this was after I looked for them online using their web site to locate what stores had them. We have a lot of Target locations here in Salt Lake City area and even a few in the same city. Three locations in fact, where I was totally confused about them having them. Ends up, the 3rd store I went to had them and I bought two packs. The cookie is made from a graham-flavored base, simulating a pie crust like texture. Which it succeeded in doing. That crunch and flavor actually worked. 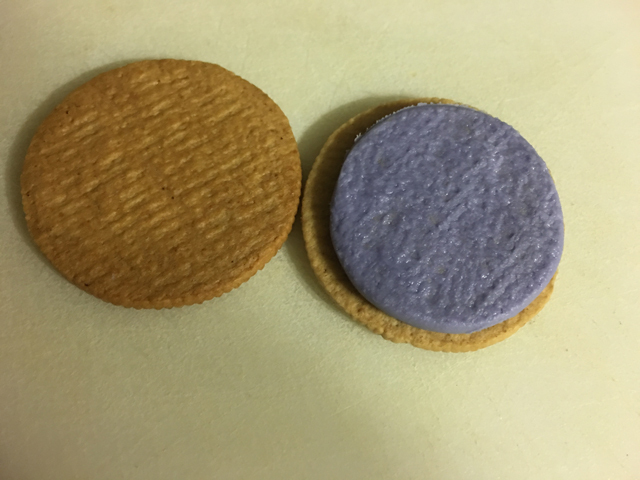 The filling is more lavender than blue in color, but the taste was pretty much a slightly-sweet blueberry flavor, artificially-speaking. The filling really smelled and tasted like blueberry and it was nice. In fact, I would say that this is the best blueberry cookie available. And to be honest, I don’t know that many blueberry-flavored cookies available amongst the mass market and mass produced cookie brands. 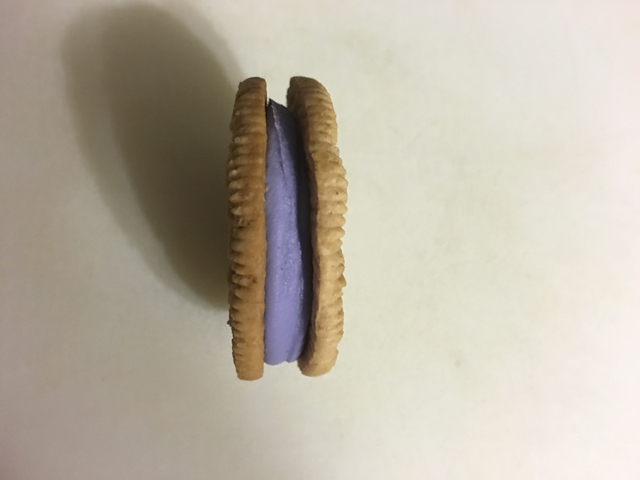 So that gives this limited edition Oreo a huge advantage. 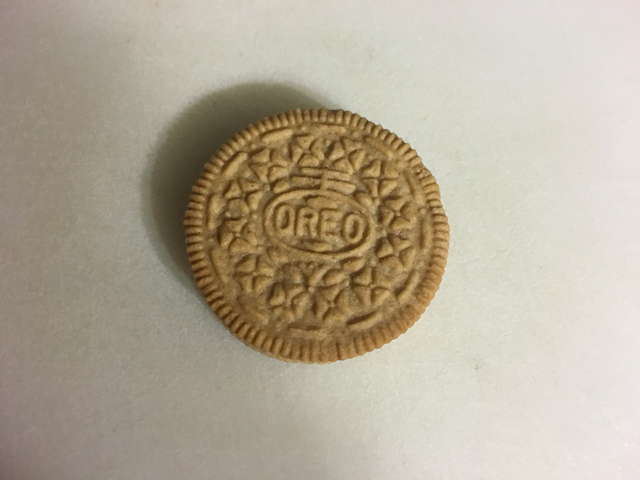 Even so, this Oreo was really good and had a nice taste and consistency to it. Good thing I have a second package with an expiration date good till the end of the year. Did you ever see the fruity peeble ones? My sister had to get those for me from Hen House in KC! I shared a good half of the pack with others. As for the Fruity Pebbles Oreos, I saw them, but never tried them. Did you like them? They might still be at Target stores. The expiration date on the last package I have is Dec 06 2016.